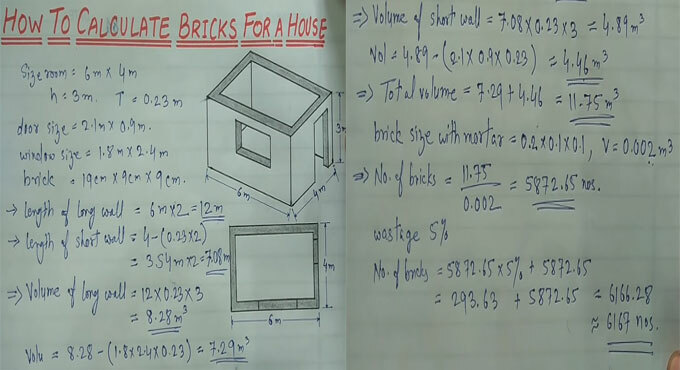 In this construction video tutorial, you will learn the step-by-step methods for working out the number of bricks required in a house. There are doors and windows in the room. Therefore, the total number of bricks for a house = 6167 nos.